A few years ago, archaeologists reported that they had discovered the location of George Washington’s boyhood home. The elaborate seven-year archaeological search had considered three sites in Virginia overlooking the Rappahannock River as possibilities. The first one proved to have been occupied too early; the second one too late. The third one qualified. This pipe was instrumental in archaeologists’ identification of the site of George Washington’s boyhood home. Photo: Adrian Coakley/National Geographic. For me this connects to an old cause of mine–defending the value of what Near Eastern archaeologists sometimes scoffingly refer to as “relics.” These professionals are interested only in what their finds can tell us about the past, not simply that something may be related to King David—or George Washington. Who cares about the exact location of where George Washington lived as a boy? So what if he smoked this particular pipe? In the case of the excavation to locate George Washington’s boyhood home, no one suggested that this enormous effort was not worth the prize. No one suggested that the archaeologists should instead have concentrated on learning more about how people lived when George Washington was a boy, instead of discovering precisely the location of the boyhood home of the father of his country. For me, the contrast between this situation and the search for King David’s palace is stark. 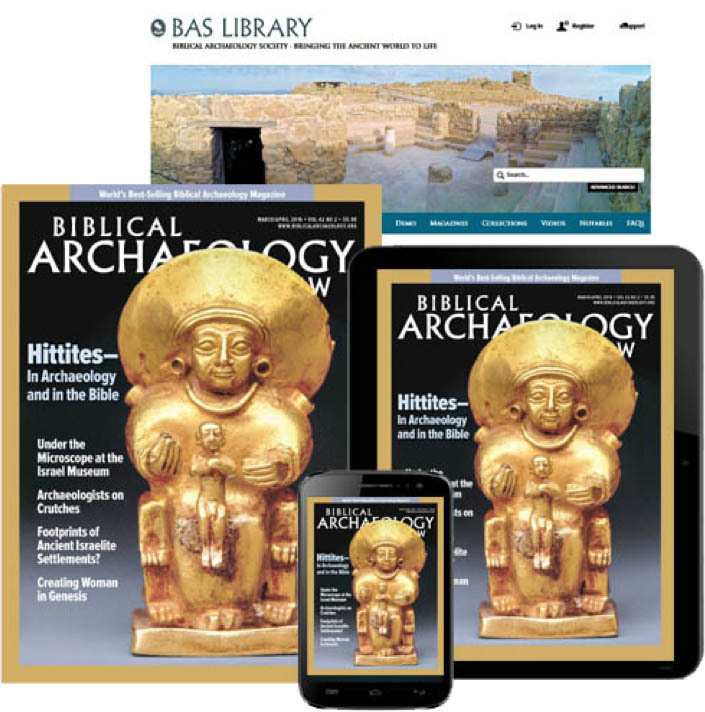 Our free eBook Ten Top Biblical Archaeology Discoveries brings together the exciting worlds of archaeology and the Bible. Learn the fascinating insights gained from artifacts and ruins, like the Pool of Siloam in Jerusalem, where the Gospel of John says Jesus miraculously restored the sight of the blind man, and the Tel Dan inscription—the first historical evidence of King David outside the Bible. The so-called Large Stone Structure is identified as remains of King David’s palace in the City of David by its excavator, Eilat Mazar. Photo: Eilat Mazar. Well, Eilat Mazar has found a major building with walls 6 to 8 feet thick. The building is surely worthy of being a palace.3 She has also found strong evidence that the building was used in King David’s time. But the date is not 100 percent certain. We would all like even better evidence than what we have. This raises a legitimate question—and Eilat Mazar recognizes this. She nevertheless quite convincingly contends that this is very probably King David’s palace. Like so many conclusions in archaeology, a certain uncertainty remains. Critics of Eilat Mazar, however, have treated her in the same breath as I-found-Noah’s-Ark crazies, as if she were making some off-the-wall argument. I compare the reaction of these “scientific” archaeologists to Eilat Mazar’s excavation of David’s palace with the reaction of American archaeologists to the discovery of the remains of George Washington’s boyhood home. Why the difference, I ask myself. For some archaeologists, there is something apparently “unscientific,” not sophisticated, about an interest in the Bible, as if this interest can only be religious, not simply an effort to look dispassionately at the evidence. There is a suspicion that if you look to archaeology to inform the Bible, you hail from another generation that was out to prove the Bible, rather than simply to look at the evidence. There is something “cool” about not being interested in the Bible. It’s the same mindset that denigrates an artifact that might have been used in the Temple as nothing more than a “relic” or a “curiosity,” not something that “real” archaeologists would value. So have I connected George Washington to Biblical archaeology? Have a happy Fourth. Read Eilat Mazar’s article “Did I Find King David’s Palace?” for free as it was originally published in BAR. 1 John Noble Wilford, “Washington’s Boyhood Home Is Found,” New York Times, July 3, 2008, accessed June 6, 2014, www.nytimes.com/2008/07/03/science/03george.html. 2 Eilat Mazar, “Excavate King David’s Palace!” BAR, January/February 1997. 3 Eilat Mazar, “Did I Find King David’s Palace?” BAR, January/February 2006. Take, for example, the well-known Israelite King David. Until recently, the sole basis for knowledge of his existence was the Bible. Although mainline historians accept him as an authentic figure, some skeptics try to dismiss him as a legend invented by Jewish propagandists. What do the facts show? Interesting … looks like there are at least 2 of us with the same first name and middle initial. Archeolgists have been praised when they can find connections to books such as the Iliad and Odyssey. However, when it comes to the Bible the feeling appears to be the opposite. I almost get the feeling that some are afraid the Bibles historical accuracy will be proven thus giving the other parts more credence. The freedom of the individual before Hashem Whom he serves (and his fellow citizens, by association) is the only true religion, and the only true and lasting form of political organization. it is spirituality without the trappings of an organized religion, and politics without any entrenched form of state. This is what the Torah is all about — freedom from all forms of repression, whether corporal or ideological. The Founding Fathers of the U.S.A. understood this as well as did Moses, Miriam, and Aaron. The rules are for the spiritually and intellectually immature. Man and society is expected to outgrow this, and to make the proper decisions for themselves. Unfortunately, only specific individuals are capable of this. In both cases, it is “possible, but not proven.” This is the best analogy to make. Of course, the press does frown on anything that relates to Biblical interests. Not a real connection, IMO. Ancient Israeli history is above and beyond ‘ancient’ American history. With all due respect to America’s founding fathers, David (Moses, Abraham, etc.) are more ancient authorities than America’s founders (who relied in part on them to formulate their government system). Besides, America is a mere 200 years old, whereas ancient Israel is around 4000 years (considering Abraham). The only connection I see btw the 2 is archeology: They dig up both of their ‘relics’. The Bible is a book of POLITICS, not “religion”. That’s a fact. It always was, and always will be. 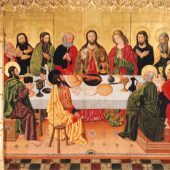 What sets the Bible apart from other relgion-like books is its unique mix of morality and government. The characters which the modern world have spawned who denigrate the Bible (and thus its contents), are those who reject God’s MORALITY and GOVERNMENT, in exchange for their pleasures, securities, “mammon”, science, and VIOLENCE (= war) Those are modern Amerika’s ‘gods’. The only reason I can think of why anybody would denigrate or deny the existence of historical facts in the Bible is MORAL: Moral deficiency in its detractors. The best way to shut up someone is to scandalize them. That’s law, p.r. and marketing 101. At the base of both are GOVERNMENT MORALITY. You use a strained analogy to try to make your point, Mr. Shanks. The differences between Washington and King David? Are you kidding? We know for a fact that Washington lived. The provenance of the written record and eyewitness testimony that establishes that fact is authoritative, empirically based, and beyond dispute. The record was established using one language. Since he lived, he had to have a boyhood home. Here, the historical record narrows the location of that home down to a few square miles. There is no dispute that the artifacts found at the presumed location can be dated to Washington’s era. In short, it’s only the details about the location that need filling in. None of the above applies to David. There is no conclusive, empirically based evidence with a proven provenance that establishes the Biblical David ever existed, much less that he achieved what the Bible says he did. The Biblical account was written long after the era in which David allegedly lived. The origins of the original accounts are full of gaps and uncertainties. There are no eyewitness accounts of what David said or did whose provenance can be traced. Whatever accounts exist, and whenever they were written, they have passed through multiple translations before reaching us. One can go on and on, but I think I make myself clear. Hi Ralph, do you have any links to published research on these Egyptians (I think?)? Well put, Hershel, as usual. I also appreciated you comments on the Jehoash inscription in the current issue of BAR. In reality King David’s palace was in Zoan, not Zion. There you will find a king of the 10th century BC who was famed and named for a star (Star of David) and his city (City of David). His name was King Pa-Duat-Khayan-Nuit (meaning, My star Rises in my City). And it is from the name Duat, that David was derived. Oh, and his daughter was called Makhare MuTahmat (Machah Tamar). See ‘Solomon, Pharaoh of Egypt’. Most definitely you made a connection. I guess those who found Washington’s boyhood home could say they found the boyhood home of the Father of America, Mystery Babylon the Great. It is no secret who the founding fathers worshipped and how much they hated Christianity. I am not surprised the world lifts up their own while putting down those who belong to the household of God. Watch “The Hidden Faith of The Founding Fathers” for an eye opener. It can be purchased or watched freely on YouTube. I enjoyed the 4th of July connection! There are no Scriptures or any ancient writings anywhere with more historicity than the Hebrew. Name one? “For some archaeologists, there is something apparently “unscientific,” not sophisticated, about an interest in the Bible, as if this interest can only be religious, not simply an effort to look dispassionately at the evidence.” Great observation, and one that Dr. Steven Collins certainly has faced: even though he has multiple points of congruence between Genesis and massive Tall el Hammam, the discovery and well-documented multiple seasons of excavation of the largest city of its time in the southern Levant has never generated the discussion that “Washington’s pipe” has done. Musicians often say that whether one is a Christian or not, there is a period of several hundred years when only Christian music was written. They ask, should we ignore hundreds of years of history because we are not Christians? The same question arises to historians. For many historical periods in the near east there are few, if any recorded histories. Whether you are a Christian, or a Jew, or not, should you ignore one of the few written records that we have? You hit the stone (nail) on the head with this explanation. I’m sure they’d rather have the hatchet – but the masonic pipe was close enough. I’d call your article a nice curve ball (unexpected but still a strike). Soli Deo Gloria. And may God Bless America (nobody else wants to). Wonderful article! You definitely connected Mr. Washington to Biblical archaeology.